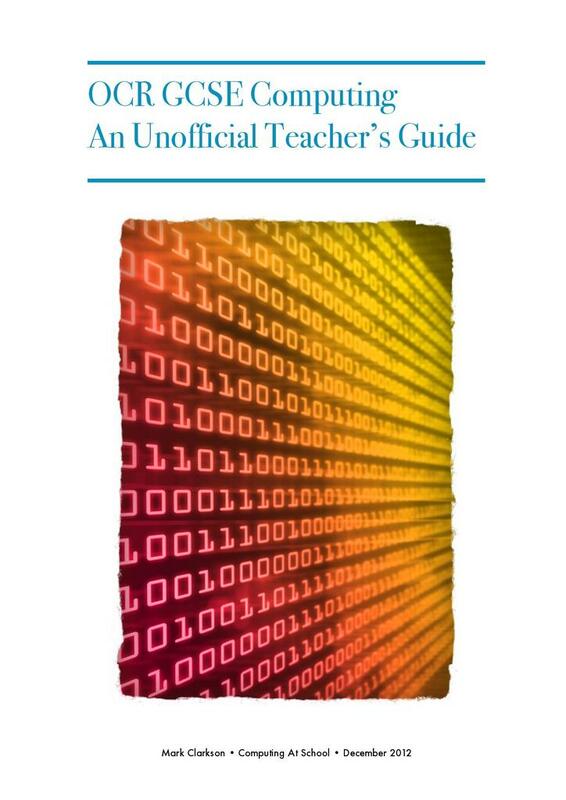 GCSE Computing – The Teacher’s Unofficial Guide This guide, which supports the OCR GCSE, covers how to teach the course. Separate sections look at: • Written examination • Practical investigation • Programming project It is not officially linked to the exam board, but they have ‘adopted’ it as their official, unofficial guide. Each section is broken down into topics, with advice on how to teach them effectively and in what order. Tips and sources of further help are provided, along with some guidance regarding the level of demand and complexity expected by the examining board. Some ideas for assessing the progress of students are suggested – these do not necessarily reflect the opinion of the exam moderators. Finally, some broader suggestions for long-term planning and prioritising the teacher’s personal profession development are shared.